Traditional healers are plentiful and culturally accepted health care providers throughout Africa and much of the developing world. Findings from existing collaborative programmes suggest that healers can be a positive force for community-based prevention of blindness. 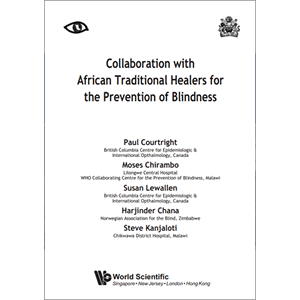 Section 1 of this booklet gives brief background information on traditional healers and explains why they should be involved in prevention of blindness activities. Section 2 gives specific recommendations for working with healers and may serve as a training manual. Authors: Courtright P et al.